While Goa might be known among the wanderers for its spectacular beaches, and riveting nightlife, anyone who has been here long enough will also tell you that it’s a food lover’s paradise! So once you’ve had your fill of of beer on the beach, head to these restaurants which offer a wide platter of choices for vegetarians and meat-eaters alike. 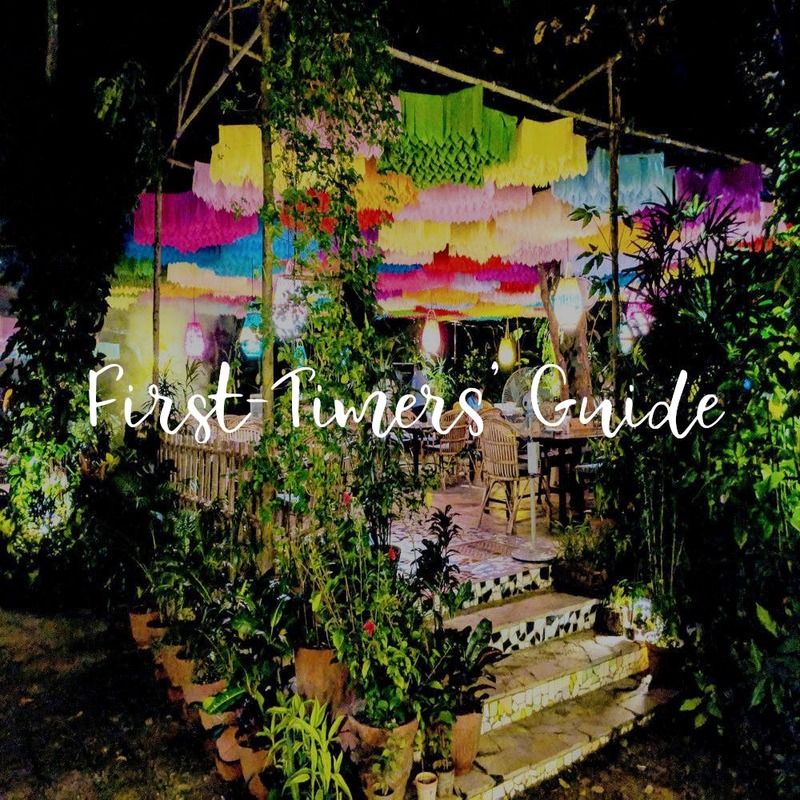 A fusion cuisine that combines local ingredients with South Indian flavours, eclectic cocktails and a soothing ambience where you’re seated in the garden of an old Portuguese house, Gunpowder is pretty much the cornerstone of art and culture in North Goa. You’ll often find many local artists there, gorging on delicious appams, pandhi curry, Kerela beef fry. Their panna cotta is also a must-have in the dessert menu. A local’s recommendation for a thali joint in North Goa, Vinayak is a home-style restaurant run by a Goan family. The fish thali is an absolute delight and will mostly feature the fresh catch of the day, along with portions of local veggies and clams. You can also check with them for the daily specials — all of which will be one or the other delicious local goan curry. Their fish xacuti, prawn rawa fry and prawn sorpotel are among our favourites. Located on the quieter and lesser frequented beach strip between Calangute and Baga, this is a serene and peaceful place to sit and enjoy personalised service, impressive food and refreshing drinks. While the place has a simplistic vibe to it, their day-time menu is bona fide fine-dining. Their prawn cocktail is among the best you’ll taste in Goa, and we also recommend their grilled fish and tangy vindaloo. Located in a 200-year-old building, that has these cute balconies overlooking the narrow inner lanes of Panjim, Venite is a traveller’s delight. What is now only a restaurant, used to be a hotel brimming with hippies, from Goa’s early days — a wall full of scribbles and graffiti stands witness to the same, while the flooring is made out of timber salvaged from old Portuguese shipwrecks! Their mojitos and LIIT is quite #lit and we’d recommend the stuffed crabs and the Bombay duck fry. One of Panjim’s most-loved restaurants, The Black Sheep Bistro has pledged its allegiance to the farm-to-table concept. They are known to experiment with flavours and constantly bring in new dishes to celebrate seasonal produce. So, among bestsellers like the Pork Chop and Barley and the Red Kismur Fish Fillet, you’ll also see Risotto made without rice, featuring akur bhaji (that’s a lot like asparagus) and crisped up slices of Goan bread. There’s also the Spicy Chocolate Spaghetti and to round it all up, and Chocolate Salami. Combining the best of both worlds, Baba Au Rhum is a part traditional French cafe, part Goan fusion food. Run by two French peeps, their croissants, fruit salads and pizzas are very popular with the local community. Tucked away from the main road, the cafe overlooks lush paddy fields and is one of the best breakfast/brunch places around. And if you’re a steak person, they offer some of the best medium to medium-rare steaks you’ll find in Goa. This French restaurant on Ashwem beach is just the place to watch sunsets, grab a beer and gulp down some fresh, offbeat food. While a lot would argue that their carpaccio is a clear winner, we also see that the house is divided on the caramelised chicken lollipop or their prawn versions. Their chocolate thali has a lot of takers as well. And, if all this food and stunning beach views haven’t tempted you enough, there’s a beautiful designer flea right in its backyard. There’s something deeply comforting about a well-made burger and this ever-so-popular join in Anjuna and Morjim understands that. Now, whether you’re a Goa newbie or a regular who’s somehow missed out, make sure you include this in your vacay plans for you’re unlikely to find that sort of a bacon and cheese burger and double cheddar and pork burgers anywhere else in Goa. The milkshakes are a hug to a tired, hungover soul and the fries, are to die for! There’s a reason why people (tourists and locals alike) make a beeline for this Panjim gem. This no-fuss restaurant has the friendliest staff and an adorably vintage feel to it. Everyone who’s after authentic Goan food needs to land up here for their fill of one of the best fish thali, prawn rawa fry, mussels or tisra. And while the seafood is all too good, It’d be criminal to leave without having their signature serradura. This place is doing amazing things with vegetarian and vegan food and if you’re in South Goa, you have to drop by. Our favourite breakfast place in Agonda (there’s also a smaller outlet in Palolem), we love their cold coffee, egg shakshuka and mango cheesecake. Their smoothies and salads are divine! The Agonda cafe is set in a garden with a lot of sunshine and trippy music playing. At night, you can also sip wine and enjoy homemade ice cream here.